KidQuake is coming up! This fun event is for kids 1st-5th grade. 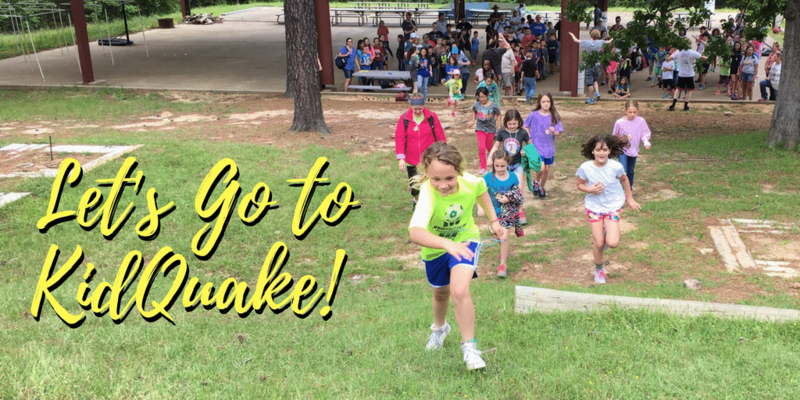 KidQuake is a retreat weekend with kids from all over our Presbytery at Camp Gilmont in Gilmer, TX. During the weekend, children will experience worship, small groups, fellowship and FUN together. For 2019 our theme is “Hear, Help, Head on Out” focusing on the Parable of the Sower, Healing of the Blind man, and Jesus saying Follow me. We will also have a group mission project along with small group, and typical camp activities. As a suggestion, 1st graders should be very comfortable sleeping away from home and in a more rustic environment. Parents, if you are interested in attending as a sponsor for the trip, please let us know. There are a few requirements to be a sponsor, so please see Danielle if interested.